Disability Awareness Workshop. Flyer. 1995. 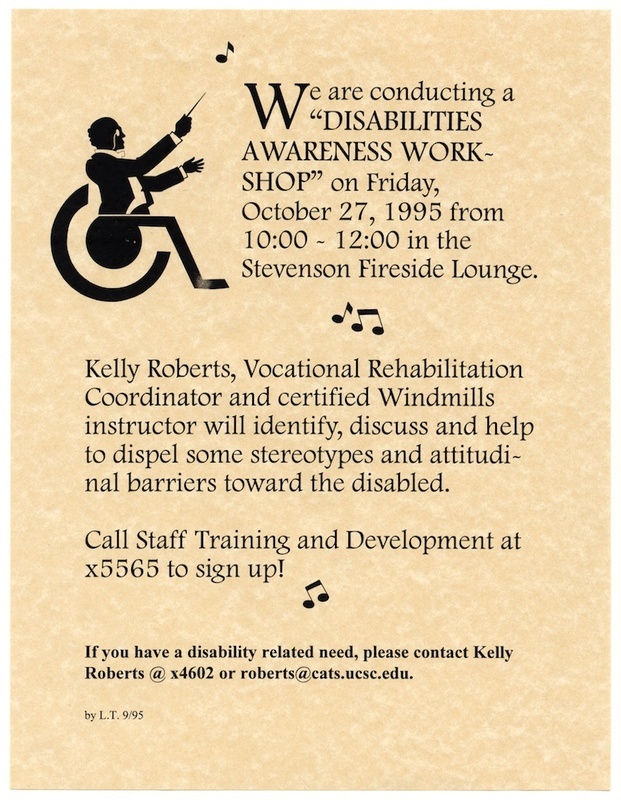 “Conducting disabilities,” Digital Exhibits, accessed April 20, 2019, https://exhibits.library.ucsc.edu/items/show/1863.